When the AAF started back in February, I was somewhat surprised that none of the rosters included former Packers running back, Eddie Lacy. On Monday morning I stumbled upon a picture of Eddie Lacy on Instagram. Many of Lacy’s photos include inspirational quotes, his dog and Brandon Bostick. After being out of football for all of 2018, I figured Lacy was done with football and had moved on… meaning I assumed he kept his bad weight on and was out of shape. A few photos from early 2018 proved that to not be true; Eddie looked to be in great shape. Fast forward to late Friday morning. Eddie Lacy is looking to get back into the NFL. As Pro Football Talk reported, Eddie Lacy had a workout with the Baltimore Ravens today. 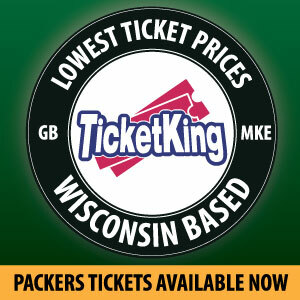 Lacy seems to have left Baltimore without an offer but that is beside the point. 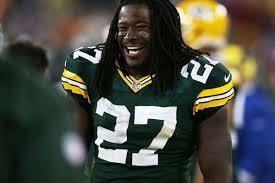 I think many fans can agree that Eddie Lacy is well liked and although things ended poorly in Green Bay, he will be remembered for his bruising runs and huge smile. 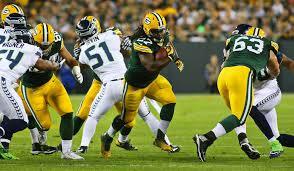 Hopefully Eddie Lacy can land on his feet with a team this year and prove that he can stay in shape. Lacy is still only 28 years old and while that is old for an NFL running back, Lacy could still be a viable option if he is put in the right situation. Here’s to hoping that Lacy makes a 53-man roster in 2019. This entry was posted in Packers 2018-2019 Season, Sam Senerchia, Uncategorized and tagged Comeback, Eddie Lacy, Packers, Return. Bookmark the permalink.